It's never too early to think ahead and what better sums up the festive period than shimmering metallic eyeshadows in precious metal tones? Maybe tinsel, glitter nail polish and novelty earrings but some of us aren't quite as classy as that. 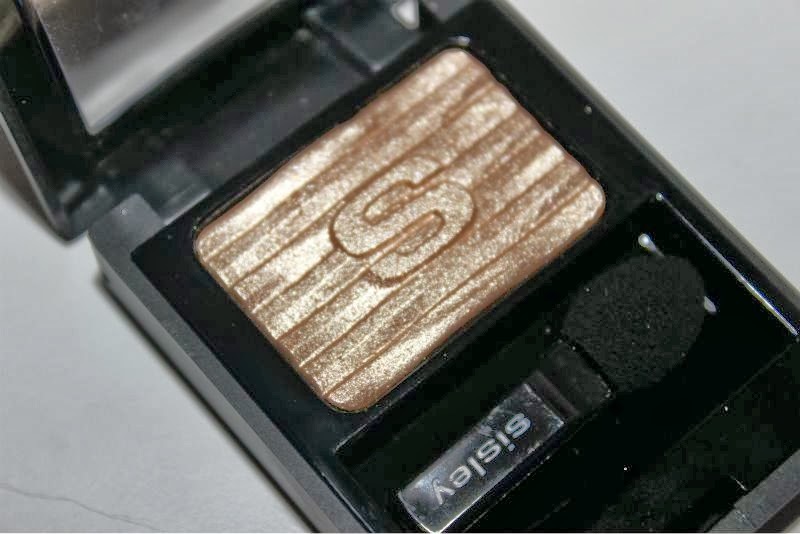 If you are on the look out for something new to jazz up your eye make-up then look no further than Sisley Phyto-Ombre Glow Metallic Eyeshadows. 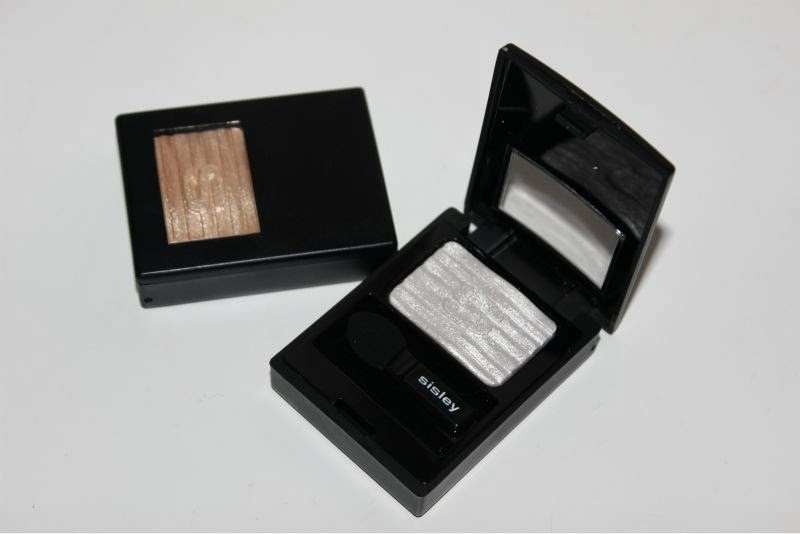 Not only are they perfect for all a Christmas party or two but they double up as highlighters too! 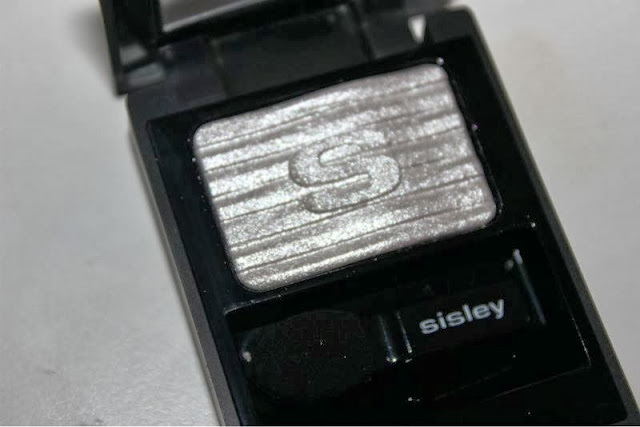 As you will know I can't help but be honest and at £30 a pop the packaging of the Sisley Phyto-Ombre Glow Metallic Eyeshadows disappoints. It looks cheap, feels flimsy and truth be told looks like it would be more at home on a bargain brand than the high end offerings of Sisley. The redeeming factor as far as I'm concerned is that they swivel open rather nicely, close with a satisfying snap (it's all about the snap) and have a small window so that you can see the shade inside with ease but yes something a little more fancy wouldn't have gone a miss considering the price. 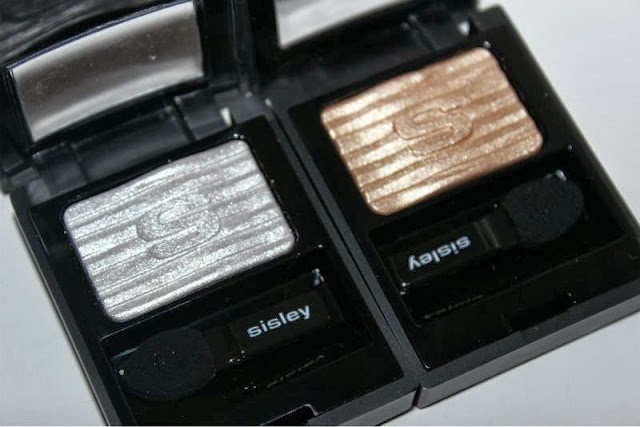 All in there is four shades of the Sisley Phyto-Ombre Glow Metallic Eyeshadows : Silver, Gold, Pearl and Amber all of which have a metallic finish and are similar in tone to precious metals. I was kindly sent the shades Silver and Pearl. Silver is a true cool toned hue which is both light and bright with a slight blue leaning. Pearl is a light creamy champagne colour that is warmer in tone and has a hint of pink. 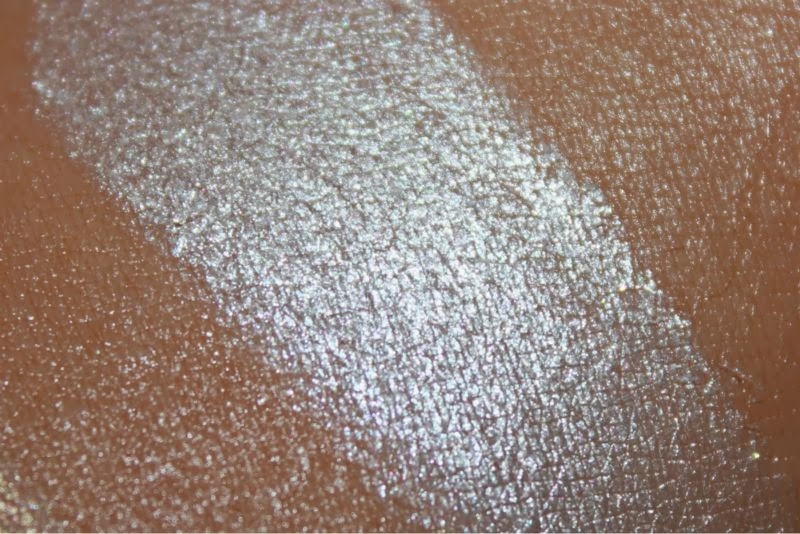 In my opinion despite the slight undertones they should suit all skin tones and mark my word when I say no complexion will struggle with these eyeshadows when it comes to colour pay off. Whoa mama (anyone else miss Johnny Bravo?) these babies are pigmented. 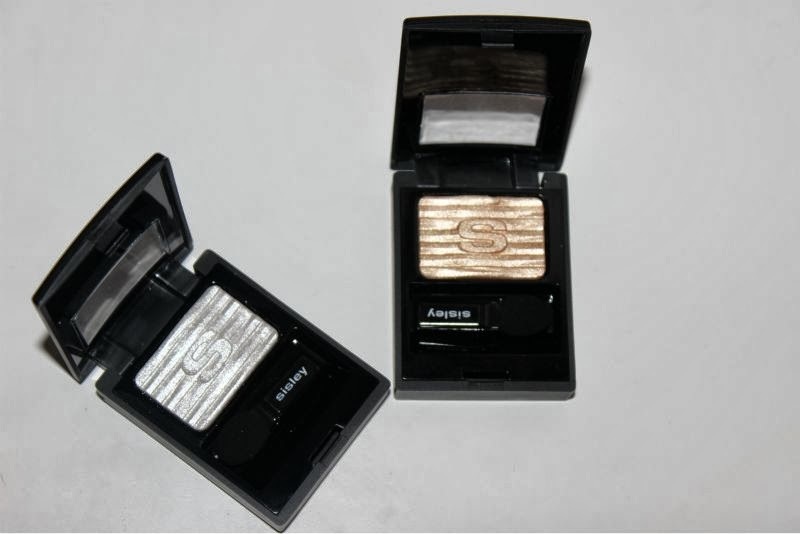 Now onto the texture and let me tell you the Sisley Phyto-Ombre Glow Metallic Eyeshadows simply do not disappoint. A cream to powder formula that has a slight gel like consistency too - if you are familiar with MAC's In Extra Dimension powder products and/or Estee Lauder's Gelee products then you will know what I am talking about. 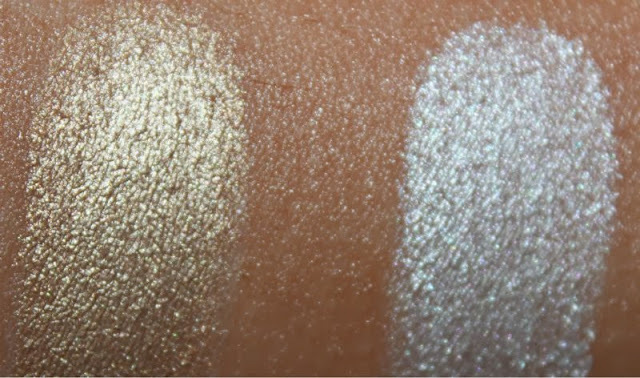 I kid you not when I say that that this formulation glides on to the skin, providing crease free high pigmented metallic finish with a slight shine quality that can be buffed down to a softer finish with the aid of a fluffy brush. As with any cream to powder offering you can use these on their own, as a base for eyeshadow and perhaps as an eye liner of you are a dab hand with a fine brush. I also mentioned that the Sisley Phyto-Ombre Glow Metallic Eyeshadows can be used as highlighters on the skin to provide a soft glow to the skin without enhancing minor imperfections such as enlarged pores or fine lines. Price aside I am a fan! So pretty, but the price definitely puts me off! Normally I use a damp brush to apply mettalic shades so that the pigment is stronger, but these seem to be pretty punchy anyway!! Check out my blog- http://helpmakemebeautiful.blogspot.co.uk/ I've recently written a review on Kevyn Aucoin eye shadow which is a beautiful bronze and is so smooth and easy to apply! 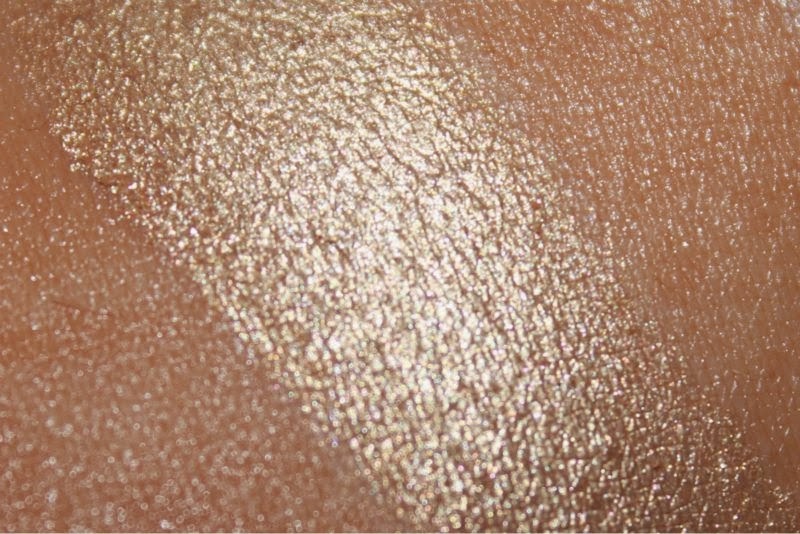 Perfect Christmas shades, how do you find drop out?